In response to a U.S. Food and Drug Administration (FDA) statement alerting healthcare professionals and consumers of a voluntary nationwide recall of all liquid products manufactured by PharmaTech and distributed by 6 companies due to possible Burkholderia cepacia contamination and the FDA and CDC recommendation that clinicians and patients not use any brand of liquid docusate sodium product as a stool softener for any other medical purpose, we are providing you with the following information. On July 16, 2016, FDA alerted healthcare professionals that PharmaTech LLC based in Davie, Florida, voluntarily recalled all non-expired lots of Diocto Liquid, a docusate sodium solution distributed by Rugby Laboratories in Livionia, Michigan. The agency confirmed the product had been contaminated with Burkholderia cepacia, a bacteria linked to an outbreak in five states. On August 9, 2016, FDA issued a statement alerting healthcare professionals and consumers of a voluntary nationwide recall of all liquid products manufactured by PharmaTech and distributed by the following companies: Rugby, Major, Bayshore, Metron, Centurion, and Virtus, due to possible Burkholderia cepacia contamination. Consumers, pharmacies, and healthcare facilities that have a liquid product that is being recalled should stop using the product immediately. Using these products in a patient whose immune system is compromised could result in infections, which may be life-threatening. 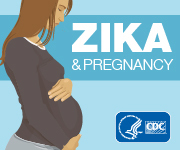 To date, CDC has confirmed 60 cases from 8 states. The issue remains under investigation. In addition to the recalled liquid products manufactured by PharmaTech, CDC and FDA continue to recommend that clinicians and patients not use any brand of liquid docusate sodium product as a stool softener or for any other medical purpose, as some of the infections reported identify docusate sodium products manufactured by other companies other than PharmaTech. If an oral liquid docusate stool softener is medically necessary, alternative medicines should be used. To date, FDA has received adverse event reports related to oral liquid docusate sodium and is not aware of any adverse event reports related to the additional recalled products, however, FDA and CDC recommends disposing of all products to minimize risk of illness. Download and complete the formCdc-pdfExternal, then submit it via fax at 1-800-FDA-0178. An update will be posted at https://www.cdc.gov/hai/outbreaks/b-cepacia/index.html in approximately one week. Please direct questions to haioutbreak@cdc.gov. Members of the media should contact CDC Media Office at media@cdc.gov.